Sadao Maou: Cut me some slack! And it's not like I wanted to join the student council. 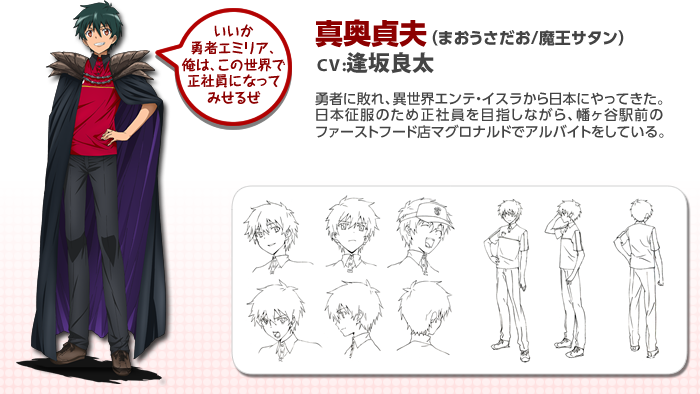 Sadao Maou is a character from the anime The Devil is a Part-Timer!. Sadao is the Demon King from Ente Isla. Due to being confronted by the Hero Emilia and the humans, he was forced to retreat and ended up in the human world in present day Japan with one of his generals, Ashiya, and changed into a human form. 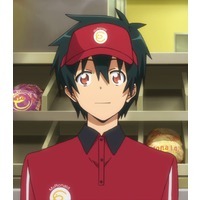 To survive, he works as part-timer at MgRonalds and is eventually promoted from part-time to a full-time worker.